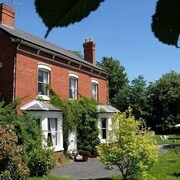 Situated in Ross-on-Wye, this bed & breakfast is steps from Goodrich Castle and Wye Valley. Forest of Dean and Wilton Castle are also within 6 mi (10 km). 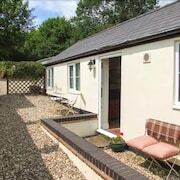 Situated in Ross-on-Wye, this cottage is steps from Goodrich Castle and Wye Valley. Forest of Dean and Wilton Castle are also within 6 mi (10 km). leisure facilities were excellent. the only negative was i had a glass at breakfast , that had a lipstick mark on it. i know these marks are hard to remove. i did alert the woman on duty , she said sorry and thanks. but it would have been nice to know that the kitchen staff look out for this in future. and maybe have a discount off an evening meal? We have never stayed here before but would definitely recommend it. From the reception staff to the housekeeping staff , we could not fault them. Very cofortable room with everythi g in it thst we needed for our stay. Excellent place to stay. Where to find Goodrich hotels near an airport? Where can I find hotels in Goodrich that are near tourist attractions? 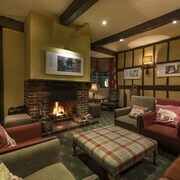 Visitors to Herefordshire are simply spoiled for choice when it comes to finding the perfect lodgings in Goodrich. Within Expedia's comprehensive database you can search 23 accommodations within 0.1 kilometres (0.06 miles) of Goodrich's center. 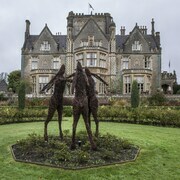 One of only a small number of hotels within 3 kilometres (2 miles) from the center of Goodrich, is the Glewstone Court Country House Hotel. 30 kilometres (18 miles) away from downtown Goodrich, is the Thornbury Castle. Alternatively, the De Vere Tortworth Estate is situated 30 kilometres (18 miles) away. 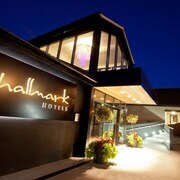 Some other places to stay include the Colwall Park Hotel and the The Speech House Hotel. Looking for more to do? Spend some time enjoying Hereford Cathedral and Hereford Museum and Art Gallery, in Hereford, 20 kilometres (14 miles) to the north of Goodrich. 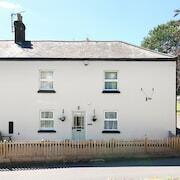 The Somerville House - Guest house and Holly House Bed & Breakfast are a few of the great long and short-stay options in Hereford. Or stay in Ledbury, 25 kilometres (14 miles) to the northeast of Goodrich, where you can choose from the The Talbot Inn and The Royal Oak. Should you choose to stay in Ledbury, set aside some time to check out the Hellen's and Butcher Row House Museum. Before you head home from Herefordshire, make sure you catch some local sport. Visit Barclaycard Arena to the northeast of Goodrich. For travelers who are interested in staying close by, make a reservation in the ibis Styles Birmingham Hagley Road (Opening November 2016) or Staying Cool at the Rotunda. 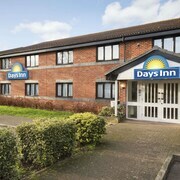 Situated 55 kilometres (34 miles) away from Goodrich is Bristol International Airport. 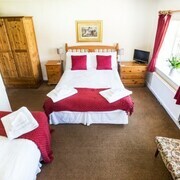 Stay nearby at Redhill House Bristol Airport or Holiday Inn Bristol Airport. What are the most popular Goodrich hotels? Are there hotels in other cities near Goodrich? What other types of accommodations are available in Goodrich? Explore Goodrich with Expedia.ca’s Travel Guides to find the best flights, cars, holiday packages and more!